Over the last three years it seemed like everyone was busy playing politics and no one was paying attention to the Egyptian economy. In fact, there are many Egyptians, both in the public and the private sector, who have quietly been working very hard to keep Egypt’s economy afloat in these challenging times. 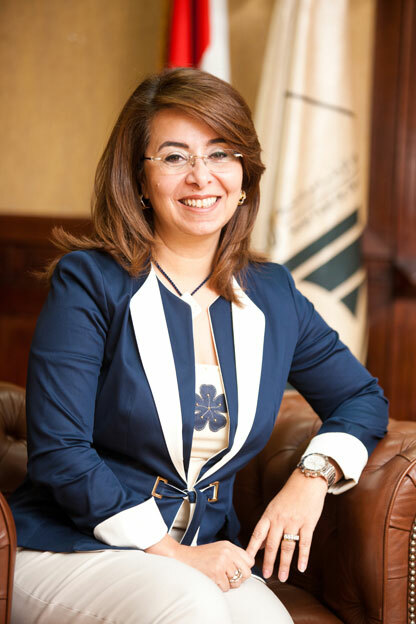 One such person is Ghada Waly, the Managing Director of the Social Fund for Development since 2011. Appointed in the midst of the revolution, she rose to the challenge, spending the last couple of years firmly focused on her mandate to alleviate poverty among Egyptians through the provision of employment opportunities, particularly for the poor. eniGma’s Samia Farid Shihata caught up with this remarkable lady to shed light on the important work she and her team are doing in these difficult times. Ghada Waly is a pro at what she does, which is development. She is eminently qualified, and not just academically; for many years she’s worked at the grass roots level in villages, especially in Upper Egypt, where poverty levels are highest. Interestingly, Waly’s career in development began at the Social Fund for Development at its inception in 1993, so she came full circle when she returned to lead the institution some 18 years later. The Social Fund was created with the help of a number of donors to address Egypt’s redundant labour problem as a result of the privatisation of public companies and the flow of workers returning from Iraq after the Gulf War. She recalls, “when I joined the Social Fund I worked on community development, microfinance, education and integrated development projects in rural areas.” Eventually, Waly left to become the first Egyptian program director for the NGO, CARE International in Egypt where she spent four years. “At CARE I spent 50% of my time in the governorates of Upper Egypt working at the village level, designing programs, interventions and so on. I got to know their problems, first hand.” In 2004, Waly moved to the United Nations Development Program (UNDP) where she became Assistant Resident Representative till 2011, when then Finance Minister Hazem El Biblawy asked her to become the Managing Director of the Social Fund For Development.